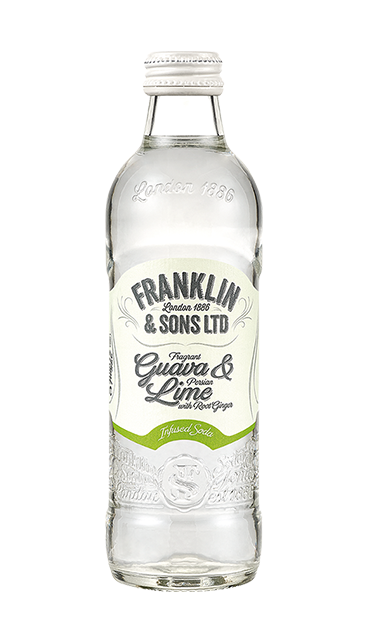 Franklin & Sons deliver the highest quality by sourcing the finest ingredients from around the world. Our carefully constructed recipes combine exquisite ingredients picked at their best to ensure the flavours are exceptional. Taking inspiration from distillers and their focus on flavour infusions & expressions, Franklin & Sons has created a range of non-alcoholic flavoured sodas. Our Infused Sodas are best served chilled over ice in a tall wine glass, garnished with fresh fruit to suit each flavour. Each Infused Soda provides the flavour experience of a cocktail serve for the non-alcohol occasions. Lightly carbonated to be delicious as an aperitif, or with food.